As a former college president, each fall my mind turns to students for whom a college education can make a profound difference – if only they had the resources to attend and finish. I think of sacrifices some students make to continue their education: living in their cars or on friends’ couches or skipping meals. And, I think about those students who will not return to school because they cannot afford the full cost of tuition, fees, books, room and board. 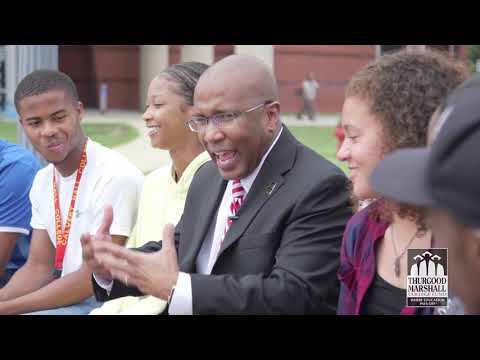 We at the Thurgood Marshall College Fund (TMCF) understand the sacrifices some college students make to achieve their goals – especially those with few resources. TMCF programs bridge the resource gap to get students to and through college and into economically sustainable careers. While earning a college degree is the best way to increase lifetime earnings – by an average of $1 million – attending and graduating college is beyond the means of the very students who would benefit most: students from fragile communities. The Center for Advancing Opportunity’s inaugural State of Opportunity in America report reveals that fragile-community residents recognize the importance of a college education, yet only 19% believe that everyone in the U.S. has access to an affordable college education, and just 12% have a four-year bachelor’s degree, versus 34% of the total U.S. population. TMCF helps low-income students afford a college education. Financial aid packages assume that students will work full-time in the summer and part-time during school and dedicate all of their income to paying for school. Yet TMCF knows that working too much leads low-income students to drop-out, often with high student loan debt. A National College Access Network review of college affordability reveals that up to 45% of colleges are not affordable for low-income students – and as few as 29 states have at least one affordable campus. TMCF’s 47 member-schools, America’s publicly supported Historically Black Colleges and Universities (HBCUs), primarily serve low-income (72% are Pell Grant eligible, versus 35% for all colleges), and first-generation students (52%). On some TMCF member-school campuses nearly 90% of students receive Pell Grants. Many low-income students begin college without understanding the full price of attendance, estimated by Sallie Mae to be nearly $24,000 per year for in-state students attending public schools. Nearly 70% of families have eliminated a college as an option for their children due to cost – regardless of the education potential. While the statistics on college affordability and available resources are sobering, hope remains for the 300,000+ students attending HBCUs each year. TMCF’s Scholarship Program helps students meet the full cost of college, using a last-dollar strategy while providing non-monetary wrap-around resources. As a result, TMCF Scholars annually post a 97% graduation rate – more than 20 points higher than the numbers yielded by the nation's most highly-selective HBCUs. Additionally, TMCF emphasizes strategic use of a college education to enter career pipelines, preparing students to be workforce-ready upon graduation and begin economically sustainable careers. But for each $1 in support TMCF awards, we have identified an additional $10 in need. This is what makes the generosity of our donors so critical. By supporting TMCF through your company’s Workplace Giving Campaign, the impact of your donation will yield lifelong dividends for each recipient. For example, a $25 donation deducted automatically from each paycheck (26 pay periods) – adds up to $650 over the course of a year. With a matching gift from your employer, your gift of $25 per week becomes a $1,300 donation to TMCF to help students. This amount makes an extraordinary difference for students who need just a few hundred dollars to fulfill the final financial requirements for graduation, those seeking support to maintain safe residence on or near campus, or to dedicate more time to studying and internships without the necessity of part-time employment. America’s future is shaped by today’s investments – and our best investment is in our youth. With your Workplace Giving donation, you can help TMCF bridge the resource gap for more of our member-school students, shaping a better future for America – one student at a time. As a donor, you can support TMCF by donating to them through your employer’s workplace giving program (CFC#11691) if you're a military or federal employee participating in the Combined Federal Campaign). Payroll pledges made through employer-sponsored charitable giving programs represent a cost effective and near effortless way to support your favorite charities. As TMCF's workplace giving partner, America’s Charities can help your company design and implement a program centered on supporting their work - through workplace giving campaigns, employee fundraising, cause-focused signature programs, volunteerism, donation drives, matching gifts, Dollars-for-Doers, In-Kind Giving and other employee engagement and philanthropic initiatives. Click here to request a demo and learn how we can help you do this.